Learning to drive in a Lamborghini! When learning to drive, you are more than likely to get behind the wheel of a pretty economical, safe and secure vehicle. But wouldn’t it be cool to learn to drive in a Super Car? Well That’s exactly what we helped make happen! MyfirstUK teamed up with Tom Exton, founder of LDN Muscle and TGE TV to see what it’s really like to put a driving student behind the wheel of a Super Car. 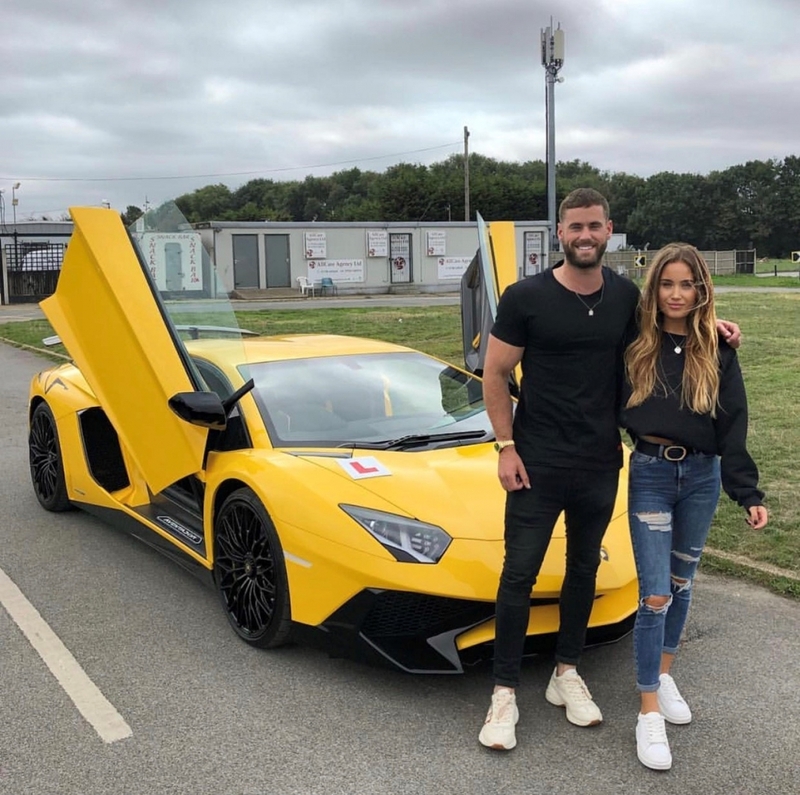 Tom met Katie, who was currently learning to drive and offered to give her a driving lesson of a lifetime by putting her behind the wheel of his Custom Lamborghini Aventadaor SV. Katie has only ever driven in 1 other vehicle before, a Toyota Yaris…bit of a difference Katie! A nervous Tom takes Katie for a warm up lap explaining the basics of the Lambo, stressing that it doesn’t have any duel controls a learner might expect their instructor to have! Are you looking for Learner or Young Driver car insurance? Get a quote from us today! Our hybrid annual policy gives you to the coverage you need, without paying twice. What’s more, with the hybrid policy, you can start to build up your no claims so that you can reach your no claims discount as quickly as possible! Call us today on 0333 305 5116 for the very best deal on your car insurance! https://myfirstuk.com/wp-content/uploads/2018/10/Lambo.jpg 1235 1242 MyFirstUKAdmin68431 https://myfirstuk.com/wp-content/uploads/2018/03/logo-2.svg MyFirstUKAdmin684312018-10-04 17:02:322018-10-04 17:02:32Learning to drive in a Lamborghini! Young Driver Insurance – Everything you need to know Best way for a young driver to buy a new car?